San Antonio Spurs coach Gregg Popovich says that despite his recent five-year contract extension, he’ll likely retire in the next couple years. Popvich, 66, signed the extension last offseason, but said in a new interview that the length was primarily due to owner Peter Holt. 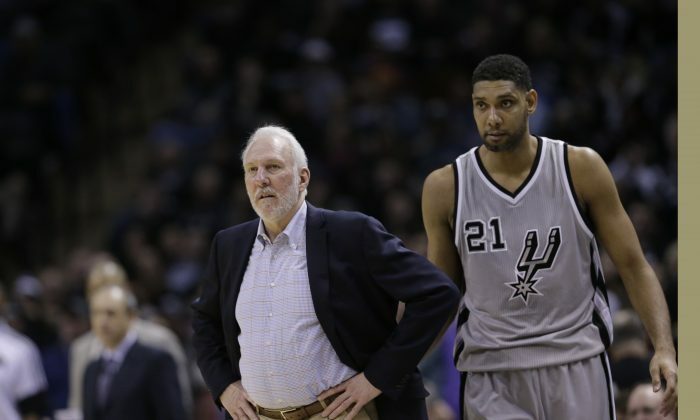 “It’s a five-year contract, but the chances of staying for five years I don’t think are very good,” Popovich told USA Today, indicating that he may retire before longtime Spurs star Tim Duncan. Duncan, 38, is one of the oldest players in the NBA, but earned yet another All-Star appearance this season by anchoring the Spurs defense and helping the team not slip too far down the standings amid injuries to most of his teammates, including Manu Ginobili, Tony Parker, and Patty Mills. 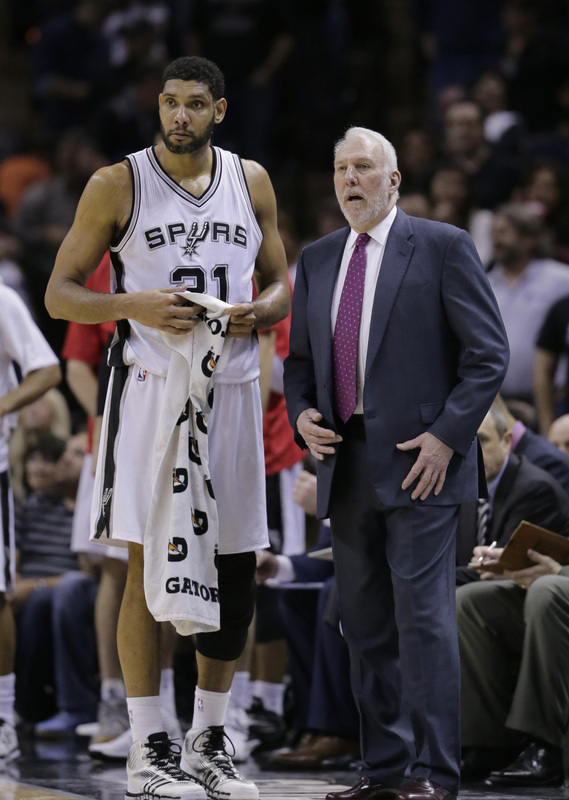 Popovich said that Duncan will look at retirement this offseason but probably will play at least one more season. “If you ask me, my guess is that he’ll go for another one because he has been so consistent this season,” he said. “It’s just consistent stuff: another double-double, over and over and over again. Because of that, I think in his mind that if it continues through the rest of the year, I think he’ll say, ‘I’m going to go another year and see what happens.’ Because what he has told me is that the minute he feels like he’s a hindrance to his team or he’s not on the positive end or helping him, he’s going to walk right off the court. It might be during the third quarter of a game. Duncan exercised a $10.3 million player option for this season, meaning his contract expires after the season. “I’ve always said if I feel like I’m effective, if I feel like I can contribute, I’ll continue to play,” Duncan said a day before the Spurs beat the Miami Heat for the 2013-14 NBA title. Even when Popvich and Duncan are gone, Parker is among those who believe the Spurs will stay competitive. “Even though one day I’ll be without Timmy and Manu and Pop, we’re still going to try to compete and bring in good players and try to be a franchise that wins games,” Parker told the San Antonio Express-News.